Based in Waterloo, Ont., Knowledgehook helps math teachers adapt their lessons for optimal learning after reviewing predictive insights that the software generates for each student. Ontario Premier Kathleen Wynne praised Knowledgehook’s accomplishment. 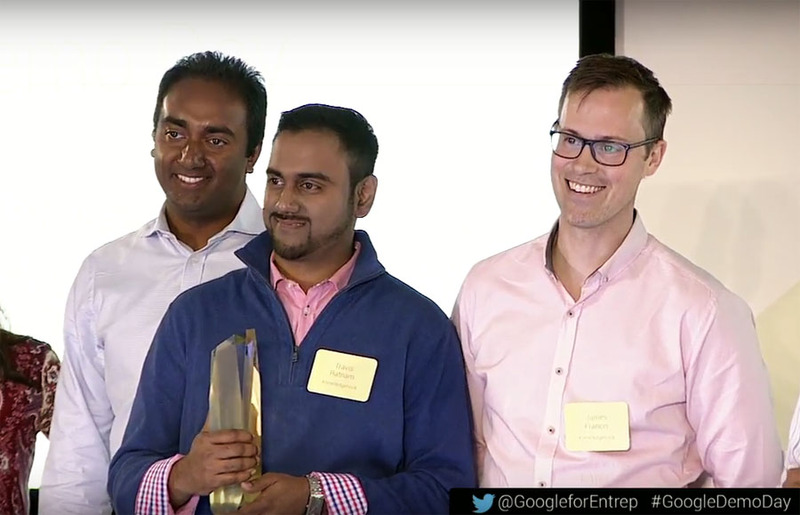 “Congratulations to Travis Ratnam, James Francis, Lambo Jayapalan, and Arthur Lui of Waterloo’s Knowledgehook on winning Google’s Game Changer Award” Premier Wynne said. Knowledgehook, a company founded in 2014, is grateful for the support of mentors from Communitech’s Rev and the Accelerator Centres’ AC JumpStart programs, and, for recent funding delivered by Ontario Centres for Excellence (OCE).